Supporters salute during an unaccompanied veteran funeral for James Wesley Jones Wednesday the Central Texas State Veterans Cemetery in Killeen. 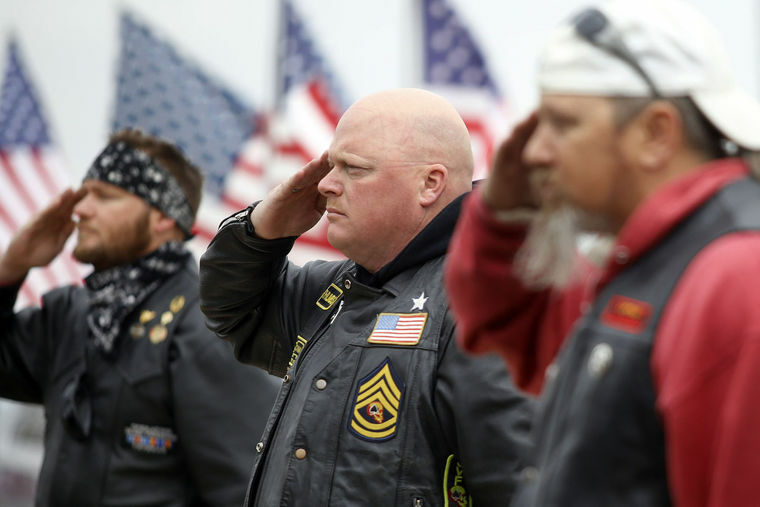 Area residents gathered at the Central Texas State Veterans Cemetery in Killeen on Wednesday to lay James Wesley Jones, a former Marine and a Vietnam War veteran, to rest. Jones, who had no family members attend the funeral, served in the Marine Corps from July 1965 to September 1969.